Have you ever asked a friend for a new-car recommendation? Well, The Car Connection (TCC) Driver’s Choice Award selections and nominees are something like that. You wouldn’t want that to be your only research before getting a new car, but the recommendations are fine to supplement your knowledge from expert sources. To help with that last part, we also have included the top TCC experts’ picks for each category. 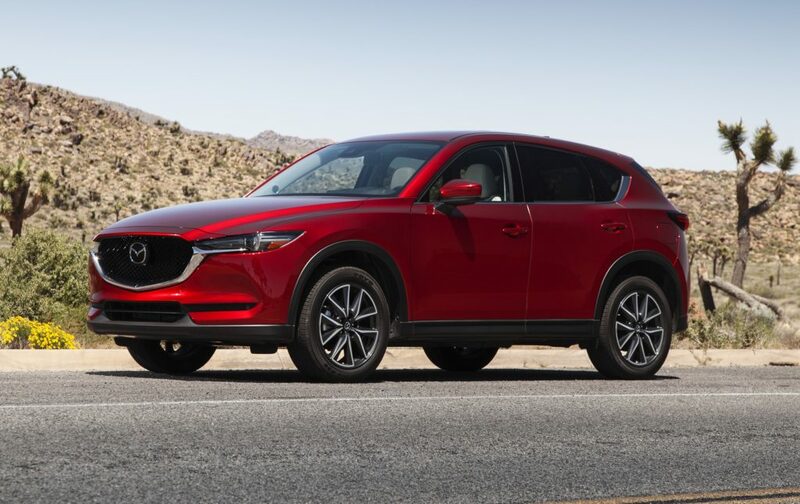 Driver’s Choice budget car of the year, Mazda CX-5. Another 11 vehicles received at least two percent of the vote, although only the 2018 Subaru Crosstrek (26 percent) and the 2018 Hyundai Ioniq (10 percent) received double-digit support. Other vehicles in this category and the percentage of votes they received are the 2018 Chevrolet Equinox (eight percent), 2018 Ford Ecosport and 2018 GMC Terrain (five percent), 2017 Kia Niro (four percent), 2018 Hyundai Sonata and 2018 Jeep Compass (three percent), and 2018 Hyundai Kona, 2017 Nissan Rogue Sport and 2018 Hyundai Accent (two percent). Experts’ picks: Hyundai Sonata, GMC Terrain, Mazda CX-5 and Subaru Crosstrek. The 2018 Volvo XC60 and 2018 Ford Expedition also received double-digit support at The Car Connection with 18 and 13 percent of the category vote, respectively. Others receiving votes were the 2018 Chevrolet Traverse (seven percent), 2018 Buick Regal and 2018 Volkswagen Atlas (five percent), 2018 Toyota Camry and 2018 Volkswagen Tiguan (four percent), and 2018 Chevrolet Equinox, 2018 GMC Terrain and 2018 Hyundai Sonata (three percent). Experts’ picks: Honda Odyssey, Volvo XC60 and Hyundai Sonata. In the most competitive category, five vehicles besides the Velar received double-digit support. They were the 2018 Porsche Panamera (15 percent), 2018 BMW 5-Series and 2018 Volvo XC60 (13 percent), 2018 Lincoln Navigator (12 percent) and 2018 Lexus LC (10 percent). Also receiving votes were the 2018 Lexus LS (seven percent), 2018 Alfa Romeo Giulia (six percent), 2018 Audi A5 (five percent) and 2018 Alfa Romeo Stelvio (two percent). Experts’ picks: Porsche Panamera, Land Rover Range Rover Velar and BMW 5-Series. Besides the overwhelming favorite, Tesla Model 3, the category contained two vehicles with double-digit support, the 2017 Chrysler Pacifica Hybrid (13 percent) and 2018 Nissan Leaf (12 percent). Other vote-getters were the 2018 Honda Clarity (nine percent), 2017 Kia Niro (seven percent), 2018 Toyota Camry (six percent) and the 2018 Hyundai Ioniq (four percent). Experts’ picks: Chrysler Pacifica Hybrid and Nissan Leaf. The Tesla was unrated. The Driver’s Choice performance category comprised nine nominees, including the Ford GT, with four receiving double-digit support, while the best looking category comprised eight nominees, also including the Ford GT, with five of those in double digits. Experts’ picks (both categories): Porsche Panamera and Kia Stinger. Assuming you’ve done some other homework, you now should have a better fix on your new-vehicle purchase, whatever category or model you are considering. It’s kind of like asking a bunch of friends.